After a productive evening of shopping and gift hunting, it was time for a break. 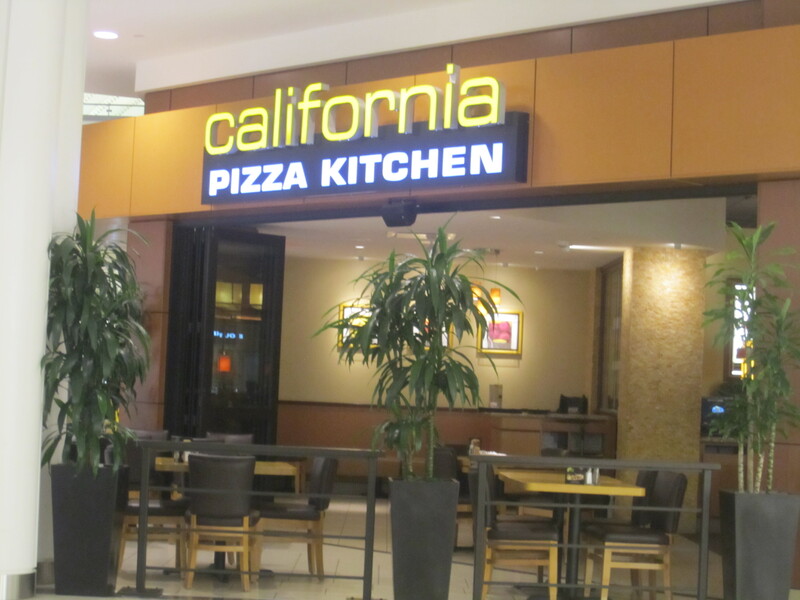 It has been some time since we last dined at CPK, but fondly remember enjoying California Pizza Kitchen’s honey wheat pizza crusts. The menu has since evolved including more salad variations and global tapas or individual serving plates. 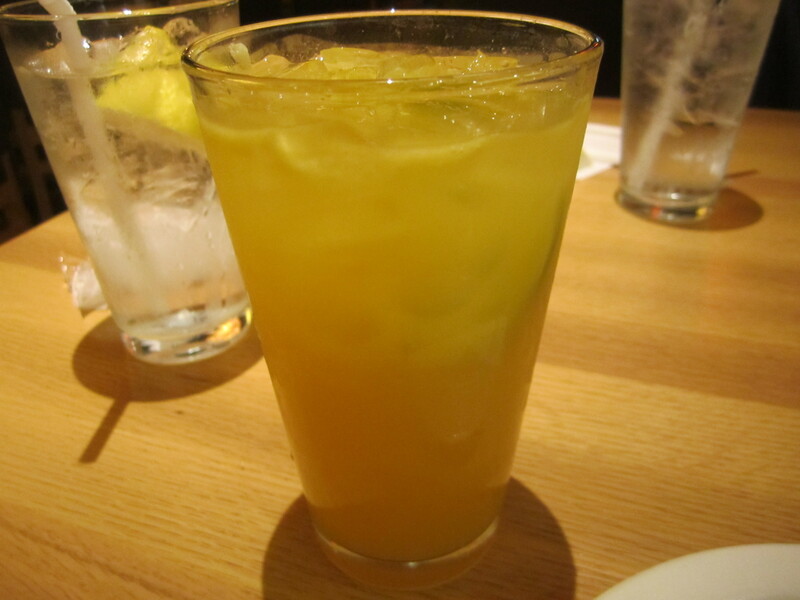 We started with a glass of mango limeade ($3.00), which was tangy, sweet and very refreshing. We definitely indulged in the complimentary refills. 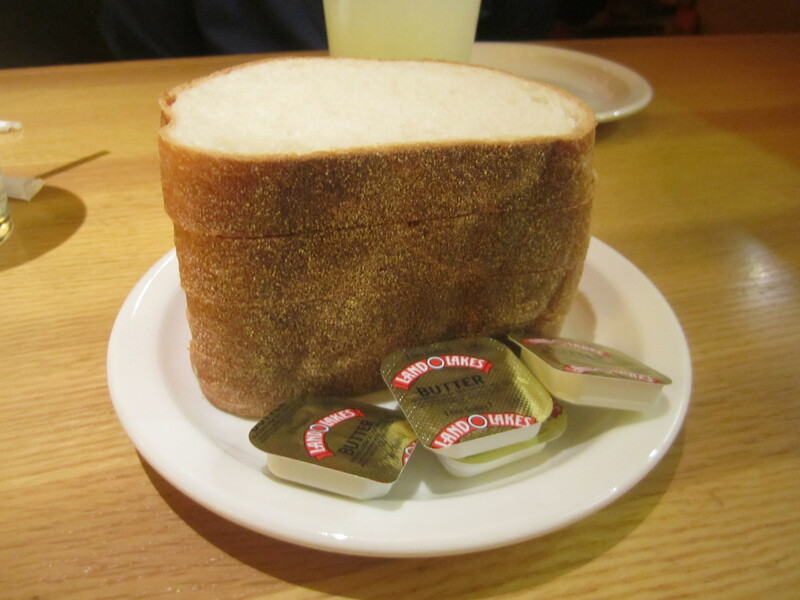 Upon our request, we noshed on some fluffy bread and packaged butter. 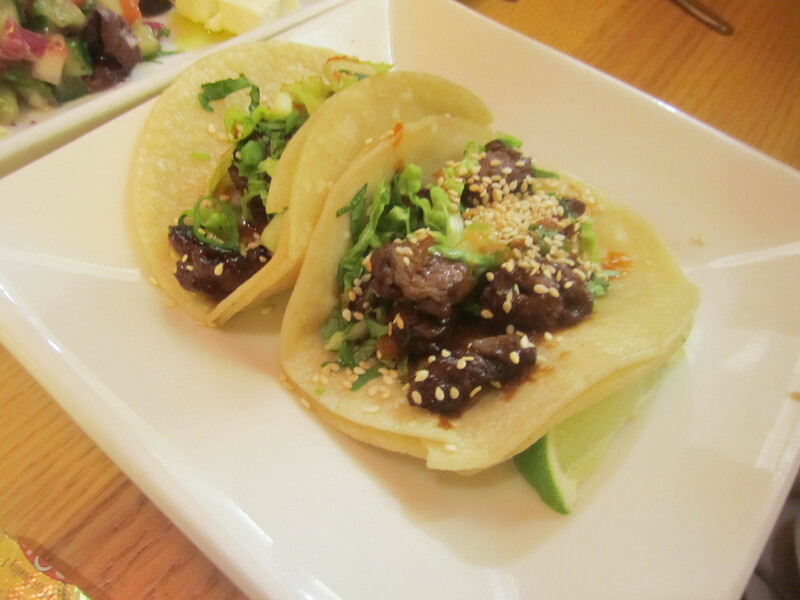 My friend seemed to really enjoy the Korean BBQ steak tacos with marinated steak, crunchy napa cabbage and romaine. The onions, scallions, cilantro, spicy chili sauce and sesame seeds provided an additional layer of flavor to the corn tortilla tacos ($5.50). 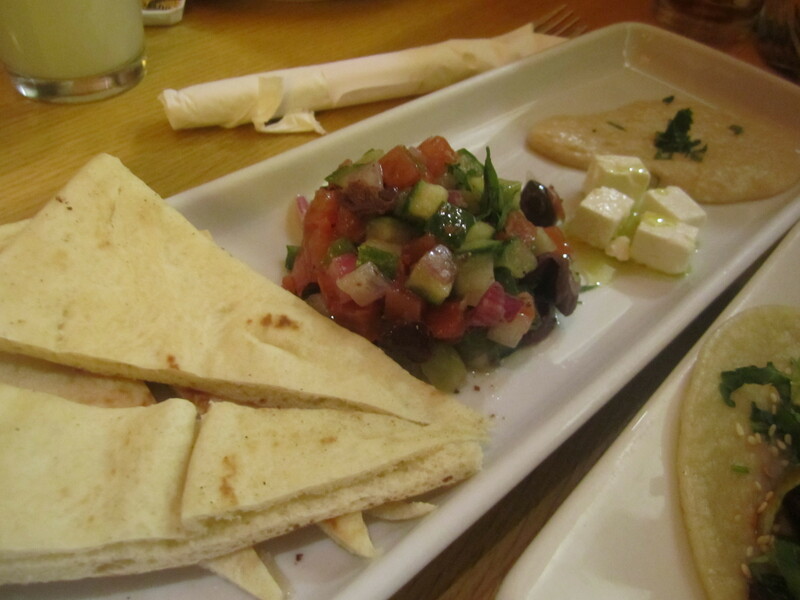 She also tried the Mediterranean plate which was a individual portion of creamy Tuscan white bean hummus, feta topped with extra virgin olive oil and a Greek salad, served with traditional pizza-pita bread ($4.75). Half way through the hummus and salad, we ran out of pita and upon our request our server brought out more pita. 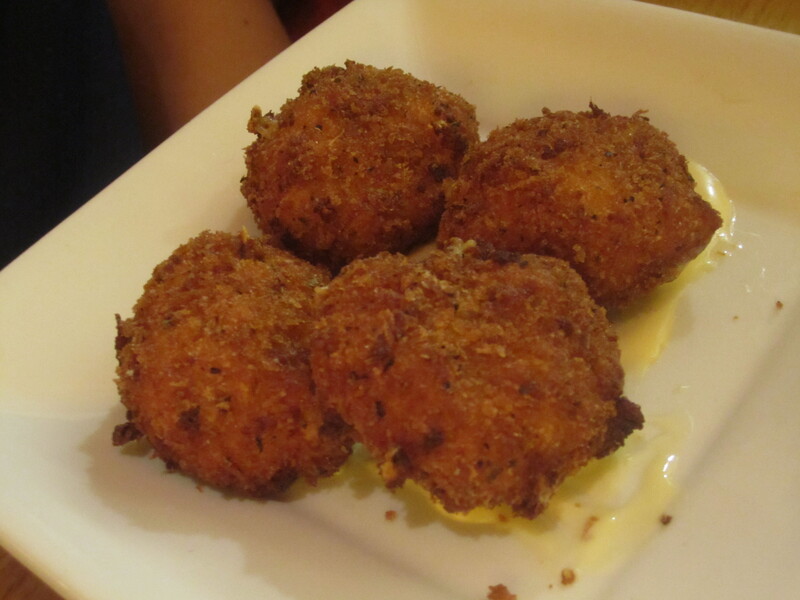 One of our favorites of the evening was CPK’s classic mac and cheese fried with panko and served on creamy cheese sauce ($4.00). 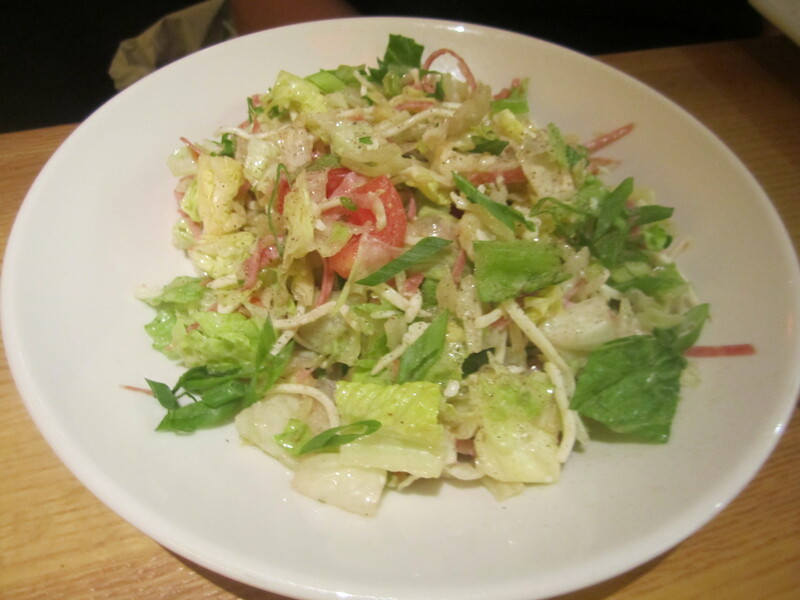 According to our server, the Original chopped salad is very popular and was served with salami, turkey breast, basil, tomatoes and mozzarella topped with scallions and served with mustard-parmesan vinaigrette for $9.75. 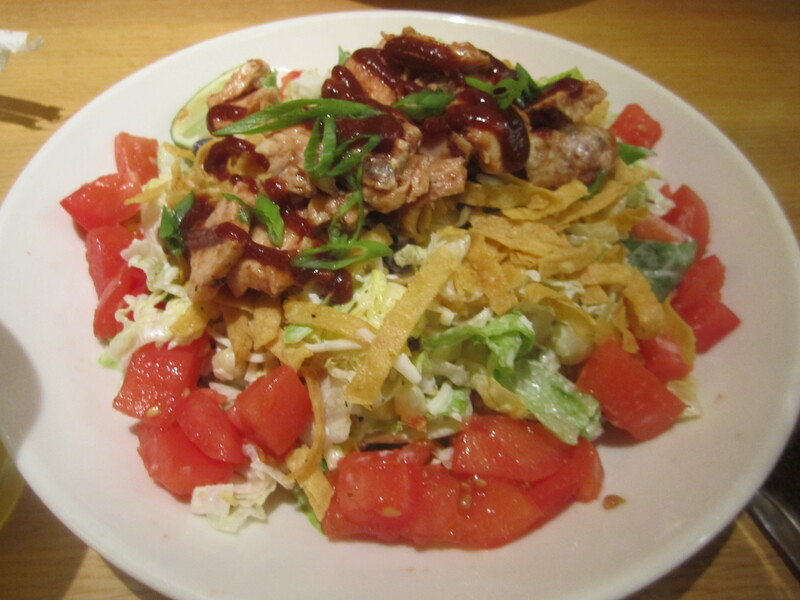 The other favorite salad at the restaurant, the Original BBQ chicken chopped salad with sweet corn, black beans, jicama, cilantro, basil, tortilla strips and monterey jack tossed in homemade herb ranch dressing. The tender bbq chicken was topped with chopped tomatoes scallions and the generous half size portion was $10. Our other favorite of the evening as white corn guacamole and chips. 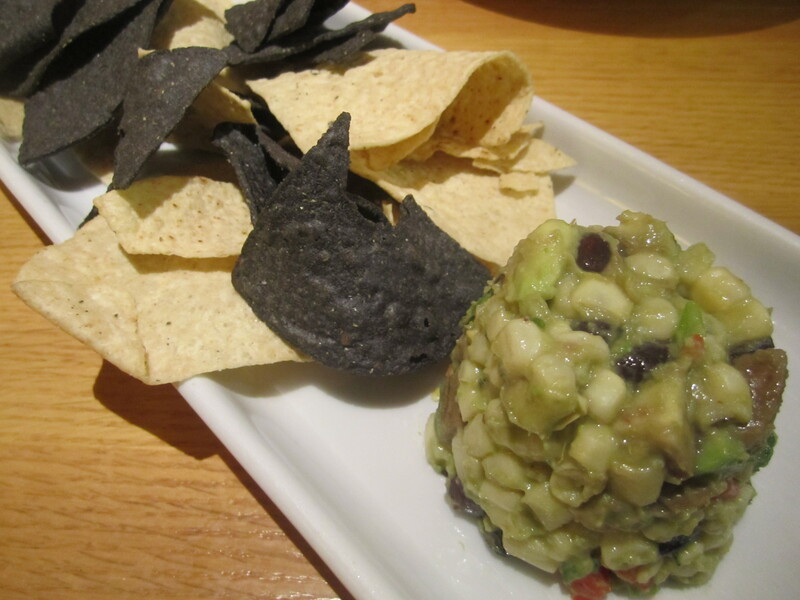 The guacamole was really special and was filled with creamy avocado, sweet white corn, black beans, jicama, scallions, bell pepper, cilantro and serrano peppers ($4.00). We would have been happy ordering another portion. Throughout the evening we had extra wait time to ask for refills and ask questions of our server. CPK seemed understaffed because there were several times in which the kitchen staff, dressed in their whites brought out our plates versus our own server. Overall, we were pleasantly surprised by the new menu and if we were shopping at the SSP Braintree again, we would stop by.